The design of the house is built upon a sensitive and harmonic intertwining of a modern structure with the surrounding traditional architecture. 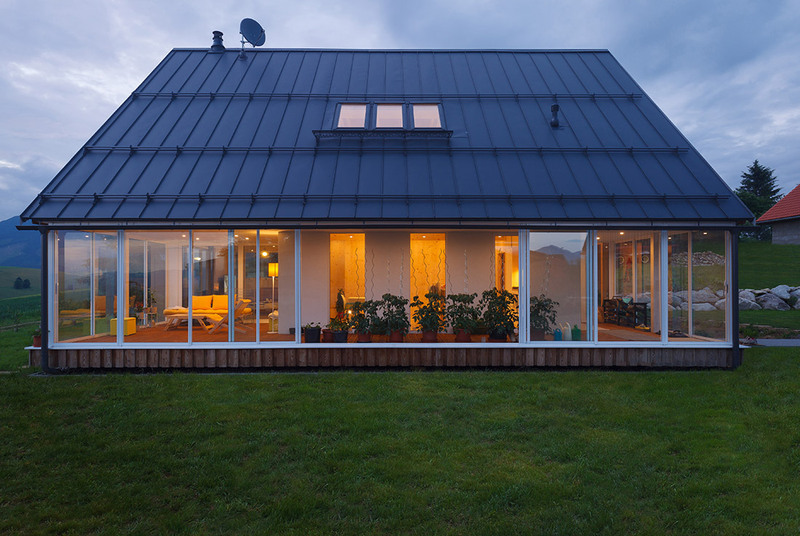 The resulting contemporary architecture of the house uses the particulars of a gabled roof as a historically proven solution which is the best at protecting a house from harsher sub-mountainous weather. 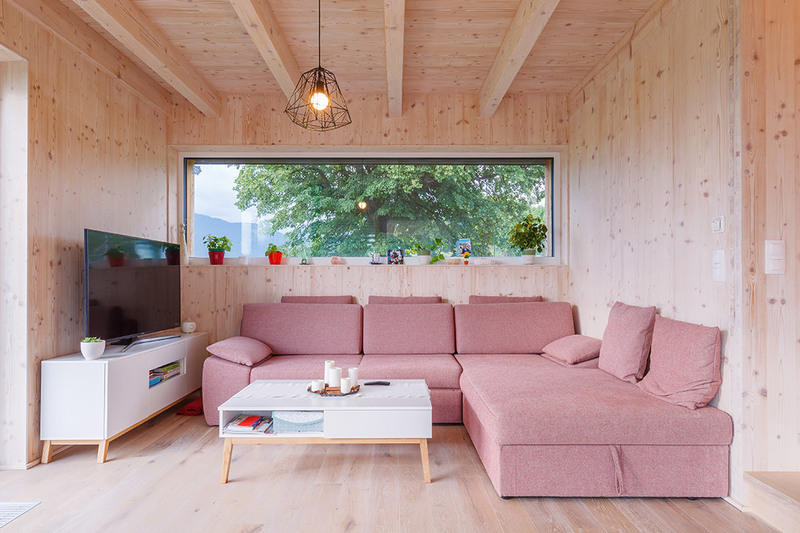 The façade cladding is from larch without any surface treatment. 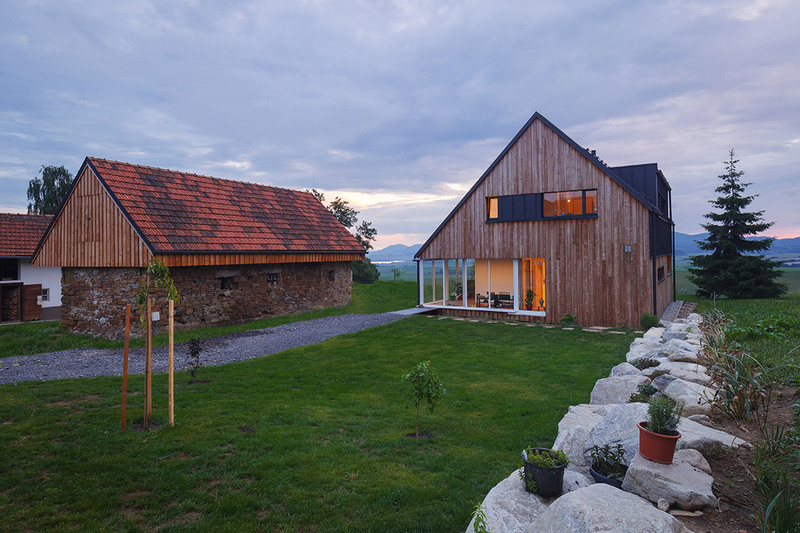 This modern wooden house stands on a mildly sloping plot with a view of the Low Tatras. It has three floors with the inclination of the gabled roof at 45° and a dormer window inclined at 6°. 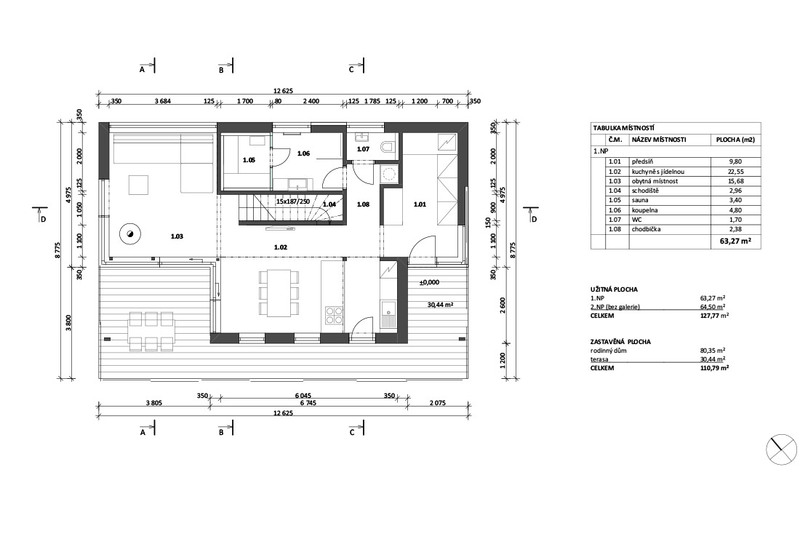 The living quarters are located on the ground floor while the sleeping quarters are on the first floor. 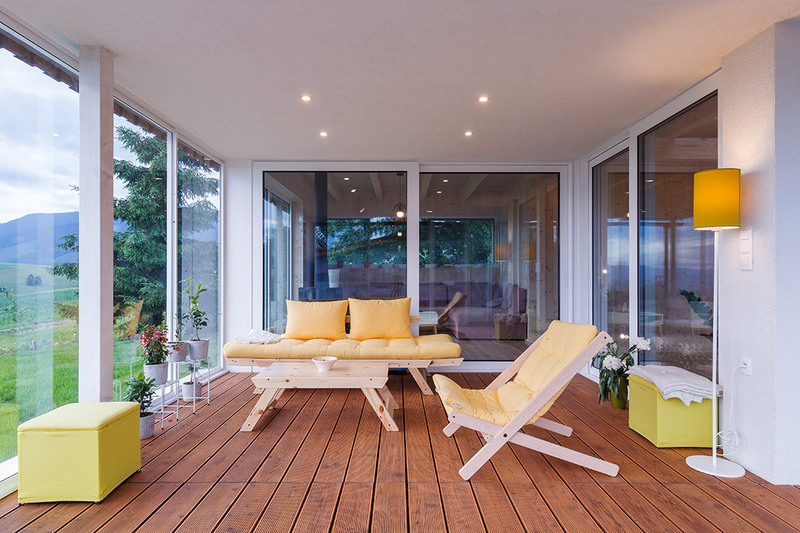 An added value to the ground floor is the large glazed terrace. Natural light and spectacular lighting effects liven up the house interior through the skylights above the gallery on the first floor. 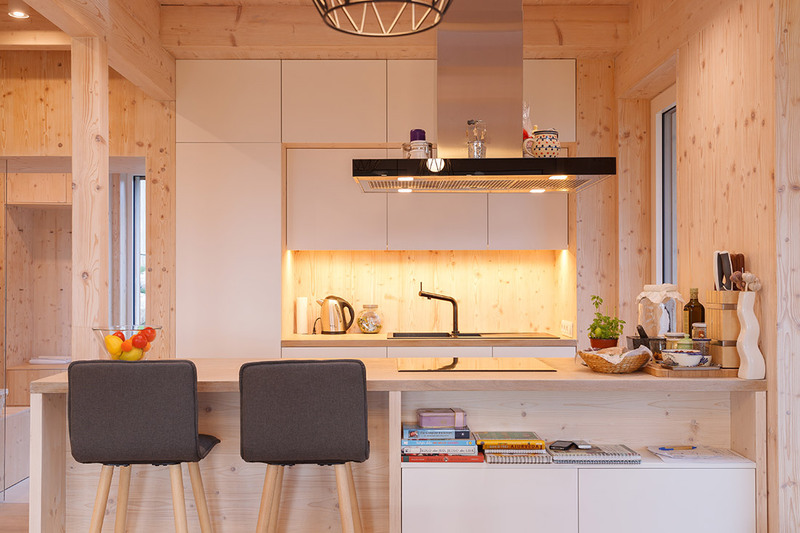 The house is built on a modern technology of layered solid wood Novatop, as ceiling beams are used KVH prisms. 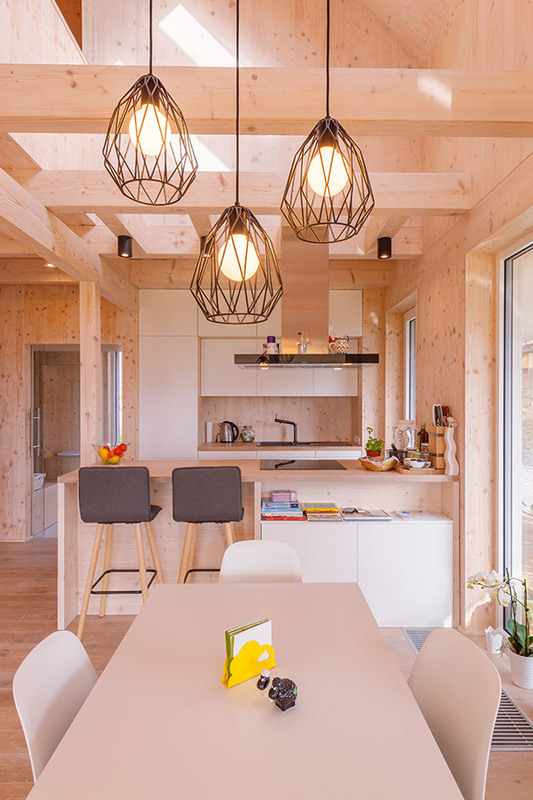 The visual quality of the building panels defines the character of the interior with its predominance of wooden surfaces and light colours accented by yellow. 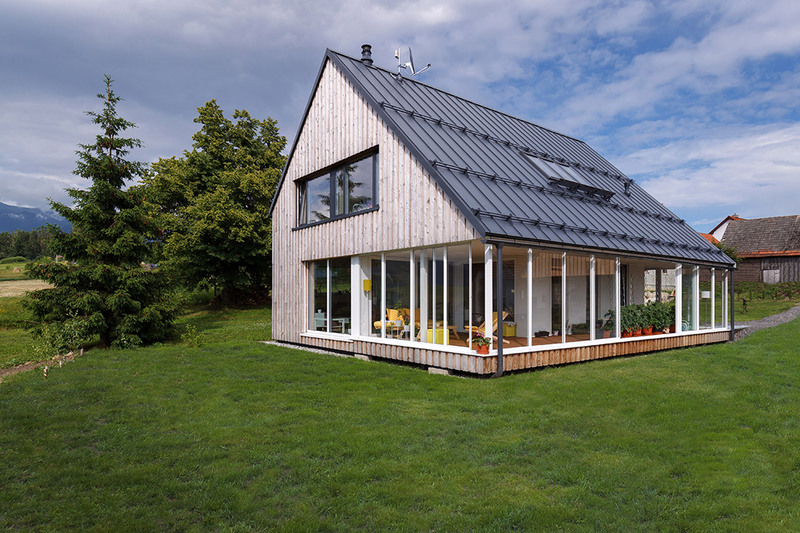 The house complies with the low-energy standard. Heating – floor electric supplemented by emitters and convectors. Additional heat source – a fireplace stove. Ventilation – recuperation. 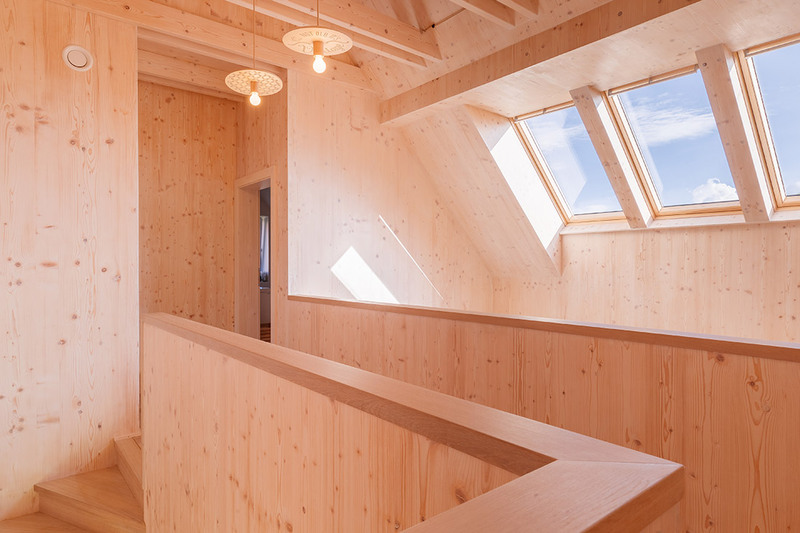 The project was selected for the international exhibition of “Salon drevostavieb 2019” (Timber Construction Show 2019) and into the publication “Rocenka drevostavieb 2018” (The Timber Construction Yearbook 2018).